I went to the zoo this week, the first that I’ve been there, since before London and it was a real zoo, with millions of screaming children running all about. It has warmed up and most of the animals are now out. 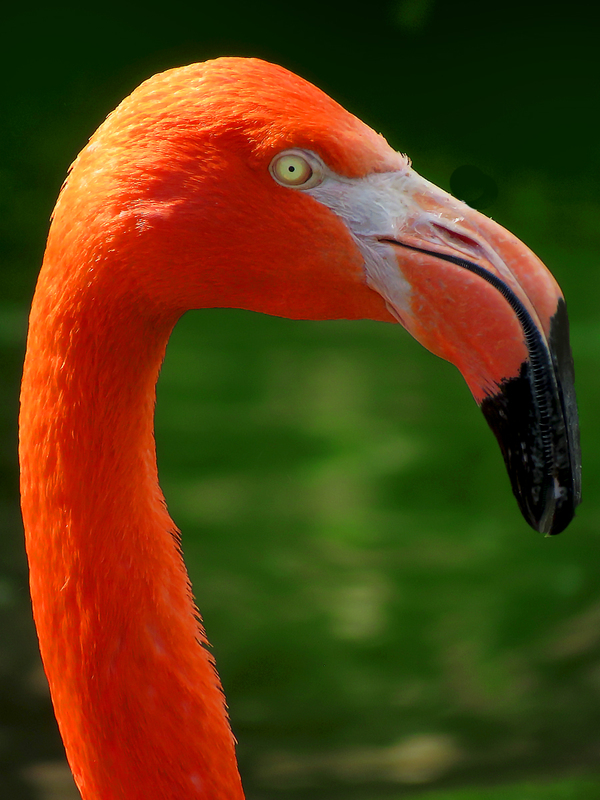 This includes the flamingos, who winter in the old building that was once used for the sea lion show. The sea lions have a new facility, so they don’t use it any more. The flamingos are not on display in this building, but you can glimpse them through the windows. More importantly, they can see you too and it gets them pretty agitated, so I don’t like to do it often. This week, they were reinstalled in their summer quarters in the zoo’s central lake. While observing them, I overheard two women discuss how they were moved from their winter to summer quarters. Apparently, one keeper per bird, holds the bird with arms outstretched, one hand holding the neck and the other the legs. They try to keep the birds perfectly straight. I guess that this helps to subdue them for the quarter-mile hike. I had lunch today with the Perma-Bear. We met at the Sugarfire Smokehouse in Olivette, which is really helping to put Saint Louis on the map as a kingpin in the barbecue biz. We caught up with each other on old times. I got to tell him about my travels and I was surprised with his news of the lengthy list of people who have left the company. I guess that I got out at a good time. This entry was posted in Birding, Birds, Food, Life, Nature, Photo, Photography, Saint Louis, Saint Louis Zoo by RegenAxe. Bookmark the permalink. Brookfield Zoo in Illinois no longer has the many Flamingoes that it used to harbor. I think that it may be because they eat Brine Shrimp and that is an expensive meal to feed repeatedly.